A mural by Victor “Marka27” Quinonez is the showpiece at TTT. Photo by Rey Lopez. 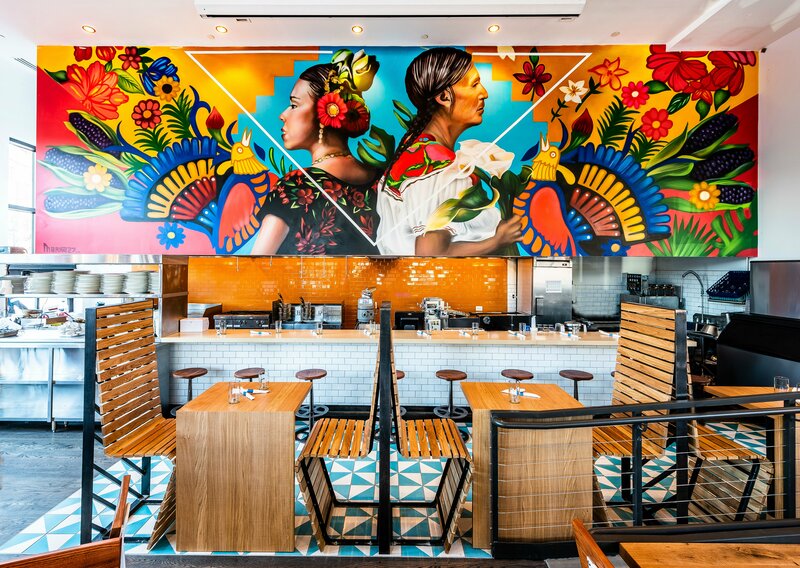 Step into Clarendon’s newest Mexican eatery, TTT (that’s shorthand for Tacos, Tortas, Tequila), and one of the first things you’ll see is a vibrant display of Patron bottles. It’s a helpful reminder that this is not a family restaurant so much as a suburban nightspot—a newcomer to an already packed landscape of Arlington drinking establishments. TTT Mexican Diner held its soft opening March 21 and has been serving a limited menu of soft tacos, guacamole and cocktails. As of April 1, it adds lunch service and folds soups, salads, tortas, quesadillas and main dishes into the dinner menu, following up with brunch service (amaranth pancakes, churro waffles) this weekend. But there’s more. TTT is, in fact, part of a concept that’s threefold. It shares an 11,000-square-foot space (formerly occupied by La Tasca) with a full-scale restaurant on the second floor, Buena Vida, and a forthcoming rooftop lounge, Buena Vida Social Club (a nod to the famed Cuban nightclub and Cuban son band Buena Vista Social Club), currently slated to open in late April. Collectively, the trio form the latest venture of restaurateur Ivan Iricanin, the force behind neighboring hot spots Ambar and Baba. But whereas those two properties (a light-filled restaurant and a moody subterranean speakeasy-style bar) introduced Balkan cuisine to local palates, this venture brings “the genuine taste of Mexico City streets” to 2900 Wilson Boulevard, courtesy of prominent Mexican chef Gerardo Vázquez Lugo, a native of Mexico City. “My success with Ambar was based on the culture element and bringing different experiences, and basically mirroring everything that you can find in the Balkans,” says Iricanin, whose Street Guys Hospitality Group, which he co-owns with partner Mihailo Subotic, now has 13 restaurants sprinkled throughout the DMV and Belgrade, Serbia. With the arrival of TTT/Buena Vida, he’s taking a similar deep dive, only this time the destination is south of the border. The dining room of Buena Vida, TTT’s sister restaurant upstairs. 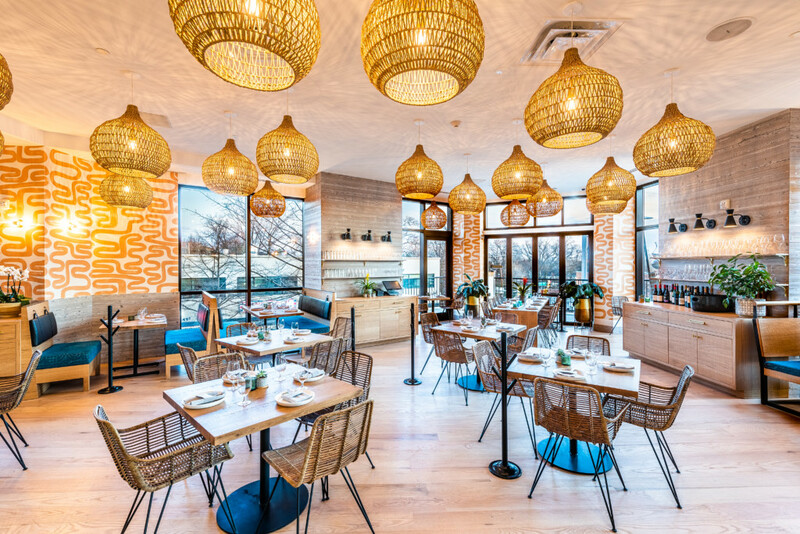 Iricanin opened a TTT/Buena Vida combo in Silver Spring last year, but the Clarendon iteration is no carbon copy. Chef Vázquez Lugo’s involvement extends to the Arlington site only, where he has exported choice elements of his well-regarded, 62-year-old Mexico City restaurant, Nicos. That includes everything from winning dishes down to design touches such as colorful quilted tortilla warmers and cactus-like tableside coat racks. So what’s the vibe at TTT? We paid a visit on a recent evening to find out. 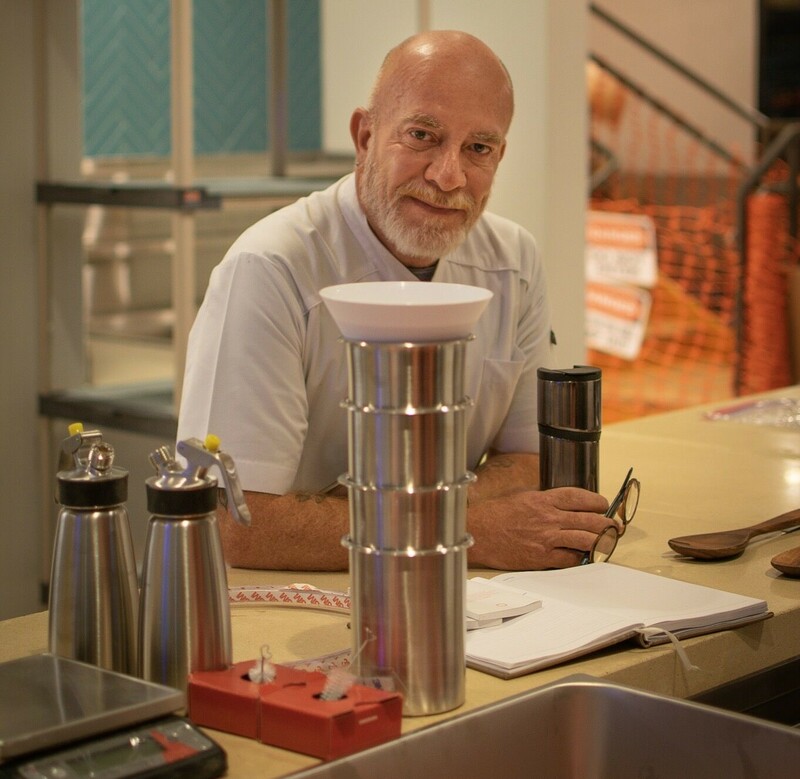 There’s a crowd of about 50 patrons, with no empty tables, around 7:30 p.m., and the noise of chatter rises above whatever nondescript pop is emanating from the room’s speakers. A couple at the bar—perhaps on an early-in-their-relationship date—are laughing and referencing The Hangover. Servers in sporty green polos zip around attentively, but no one looks harried. The clientele skews a bit older than what you might find at Don Tito down the street, but this is definitely a festive, almost party-like atmosphere. Live musicians performing authentic Mexican music would be a nice addition. One of about a dozen tacos TTT is now serving up. Photo by Miroslav Pavlovic. 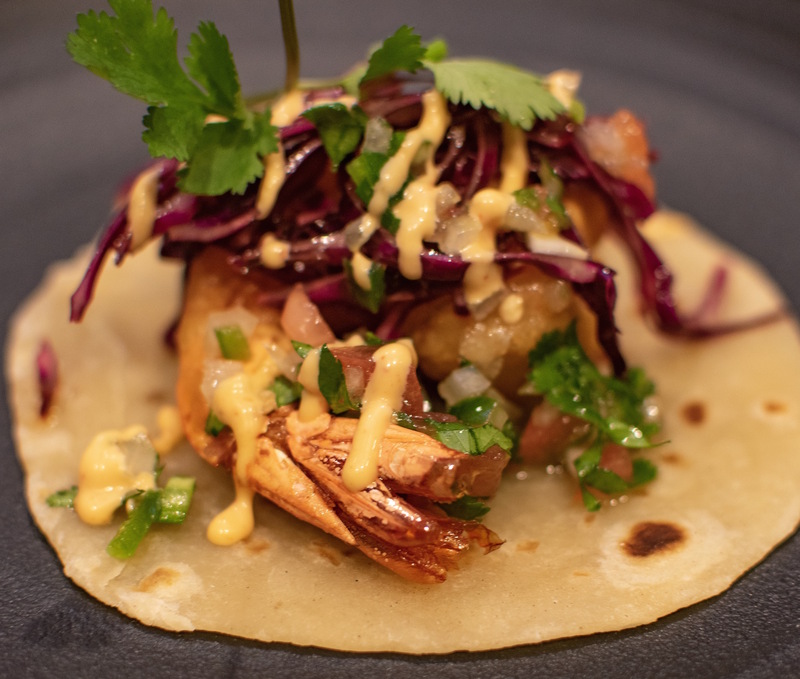 The dozen or so tacos on the menu feature proteins that are fried, grilled or stewed atop house-made corn or flour tortillas. For pescatarians, options include the Baja (beer-battered shrimp, cabbage, chipotle aioli) or shrimp and cheese (grilled shrimp, pico de gallo, cilantro), served on an oblong platter with a side of simply cooked black beans and white rice. There are also plenty of choices for carnivores, such as the brisket with salsa verde and the duck carnitas. Each variation is presented simply, with none of the heaps of shredded lettuce, sour cream and grated cheese common to Americanized tacos. The Ponte Frida (almond milk, vanilla, cinnamon), TNT, Pinche Collins (mezcal, tequila, lime soda) and La Mula (mezcal with ginger beer). Photo by Miroslav Pavlovic. Beer is not the main attraction at TTT; your options are basically cans of Tecate, Dos Equis bottles or a couple of local drafts on tap. Rather, the emphasis here is on cocktails (including margaritas, of course), designed in consultation with Street Guys Hospitality mixology consultant Esteban Ordonez. There are two “draft cocktails”—essentially pre-mixed drinks that can be poured on demand. La Guera Guerrera is a smooth yet dangerous blend of brandy, white wine, orange and mint. La Granadilla features pomegranate bitters and tastes a bit like a grown-up Shirley Temple. For a bit of tequila—this is a tequila bar after all—try the TNT. With tequila blanco, tangerine, lemon, hibiscus and mint, it provides a kick without conjuring up memories of a drunken college spring break. 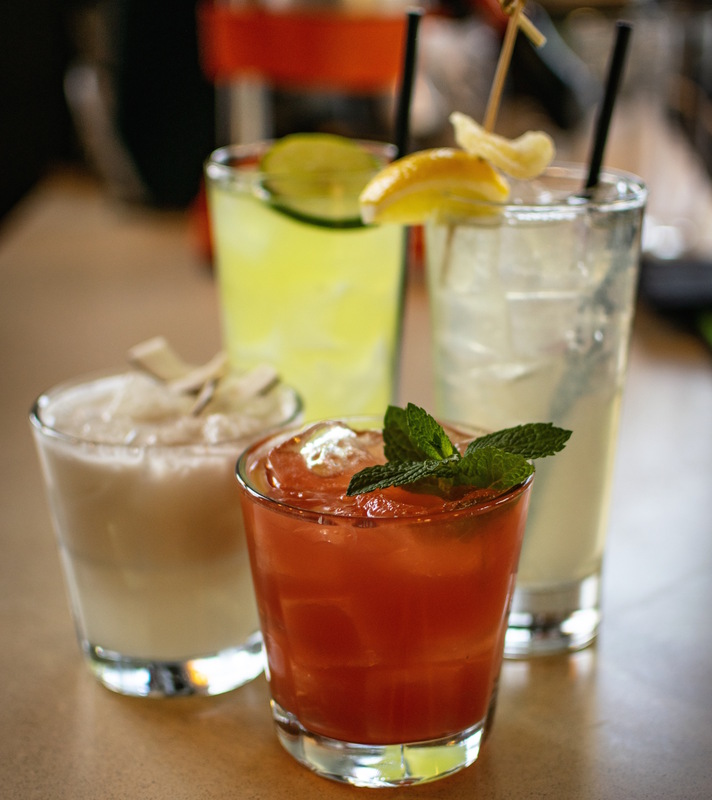 Other tasty options include the Ponte Frida (rum, vanilla, cinnamon, coconut, almond milk) and Tommy’s Margarita, made with agave nectar. For an eatery in its infancy, in an area where the restaurant turnover is fairly high, TTT certainly appears to be stepping out with confidence. And with an upscale sister restaurant one floor up, and a rooftop terrace on the way, it’s a veritable triple threat. Its colorful dishes, drinks and decor are a welcome sign that spring has sprung and summer is coming.